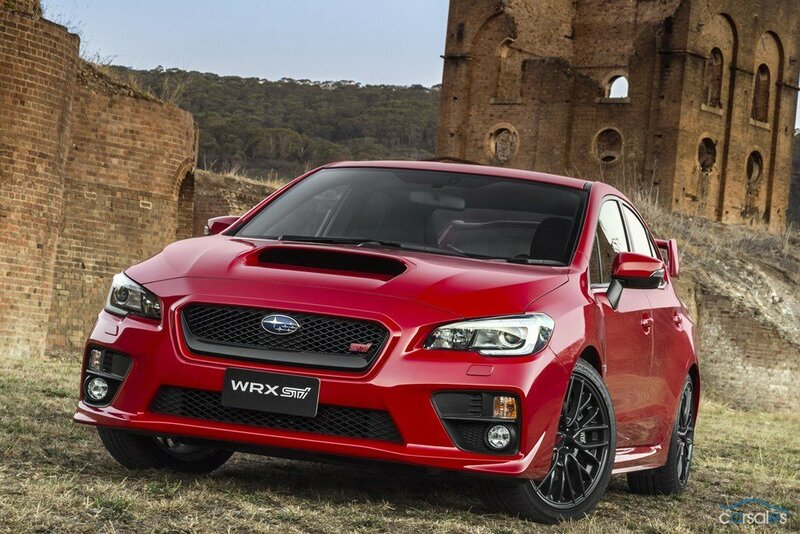 Subaru has slashed as much as $11,000 from the price of its iconic WRX STI performance hero as the fourth generation heads for sale in Australia without a performance gain, hatchback body or automatic transmission. On sale May 1, the standard STI will start at $49,990, while a new Premium variant will be priced at $54,990 (plus on road costs). The range will also be offered for sale online and through an expanded range of STI (Subaru Tecnica International) dealers. The current seven-year old STI starts at $54,990 for the torque limited auto and rises to $59,990 for the full-fat manual, which means a $10,000 chop, manual-for-manual, generation-to-generation. The Pemium is an even more substantial $11,000 cut from the current $65,990. That pricing places the STI close to the Renault Megane RS265, and directly in competition with the Volkswagen Golf GTI Performance Pack and all-wheel drive Golf R but below the Mitsubishi Lancer Evo. 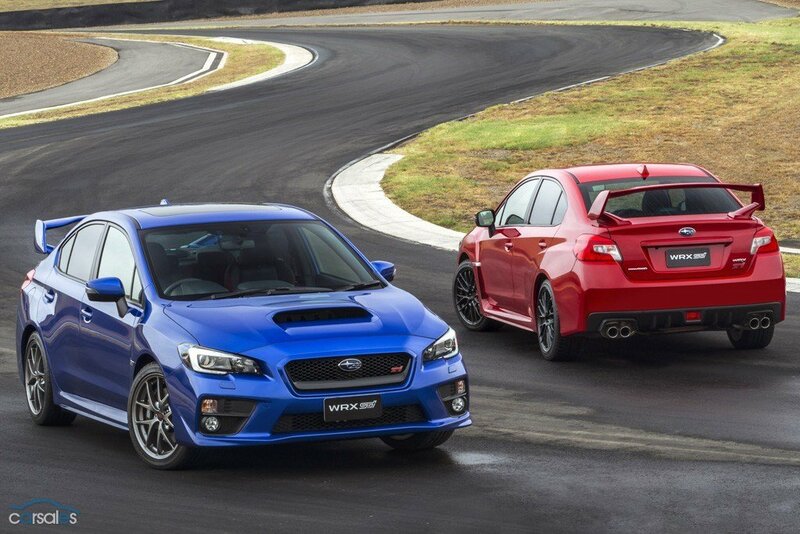 Subaru Australia managing director Nick Senior said the price was chopped because of the need to close the dollar gap to the $38,990 WRX, rather than as a response to the lack of improvement in the STI’s performance or the reduction in model choice. Senior forecast 300 sales for STI in 2014 on the basis of the price cut, up from about 130 over the last 14 months. 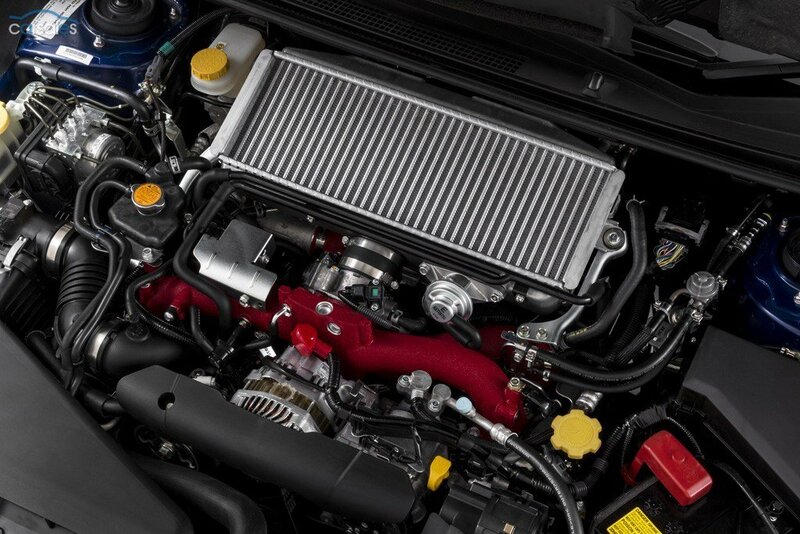 Power from the STI's carry-over ‘EJ25’ 2.5-litre boxer four-cylinder engine remains unchanged at 221kw, as does the 407nm torque output. However, these figures do vary from the global launch figures announced earlier this year at 227kW and 393Nm. The variation is attributed by Subaru Australia to local testing on 98 RON fuel rather than 100 RON the global figure is based on. The official 0-100km/h acceleration time remains 4.9 secs, while the claimed combined fuel consumption dips by 0.1L/100km to 10.4L/100km. 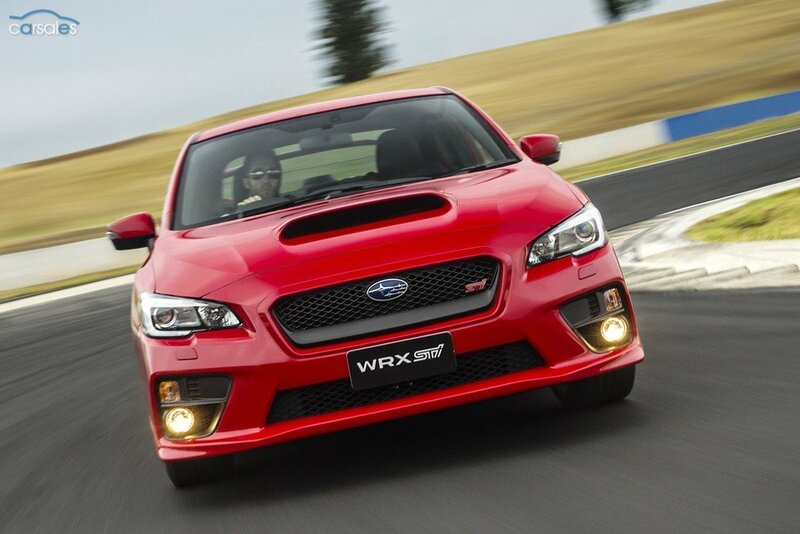 It is understood the hatchback was not developed for WRX and therefore STI due to limited demand in the biggest market, the USA. Meanwhile, the CVT auto used by the WRX and the standard Impreza small car the STI is based on was judged not suitable for Subaru’s most potent performance car. 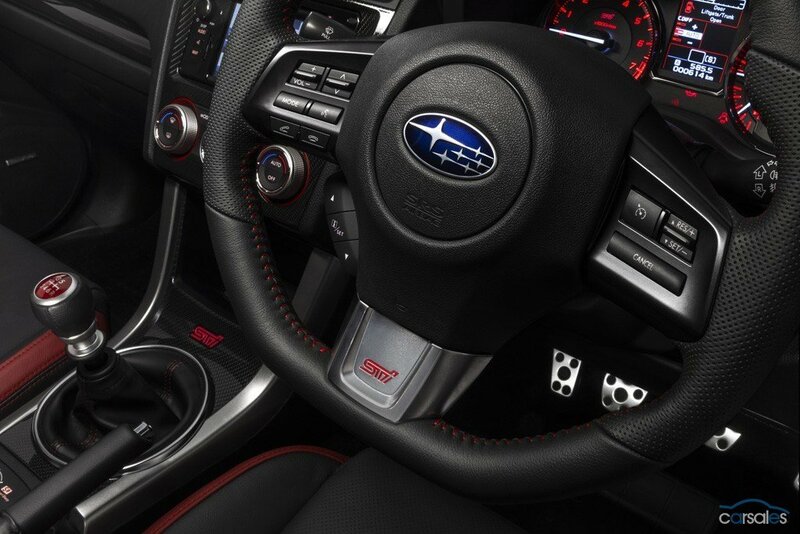 Instead, Subaru is promoting the new STI’s substantial dynamic improvements, including body stiffening, the addition of active torque vectoring, quicker hydraulic steering, re-tuned suspension and plentiful driver adjustment of the all-wheel drive system, throttle mapping and driver aids. A substantial boost in equipment levels is also being pushed hard, with Subaru claiming an extra $7000 in gear on top of the price cut. The significant chassis alterations, which Subaru claims improve both ride and handling, are summarised by Road Test Editor Matt Brogan, who attended the international drive launch in California. The new equipment includes a driver’s knee airbag, a reversing camera, dual zone climate control, factory-fitted satellite navigation, Harmon and Kardon speakers and amp for the audio system, a flat-bottomed steering wheel and push button start with smart key. 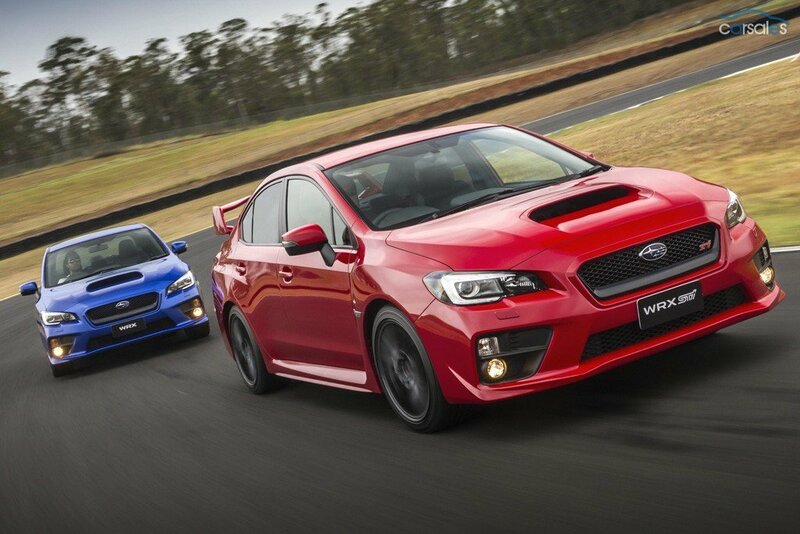 Features exclusive to the STI Premium are BBS 18-inch alloy wheels, an electric sunroof and heated front seats. Synonymous with STI are a scooped bonnet (aluminium this time round) and a massive rear wing. However, in a sign that the buying audience is maturing, the wing can be deleted. “We realise some customers prefer a more subtle style and don’t necessarily want to make such a bold statement on the road,” Senior said. Other exterior design features include driving lights, dusk sensing LED headlights with halogen high beam, an hexagonal grille with unique mesh treatment and four exhaust outlets. An interior upgrade reflects the generational change for the Impreza donor car, which flowed through in early 2012. 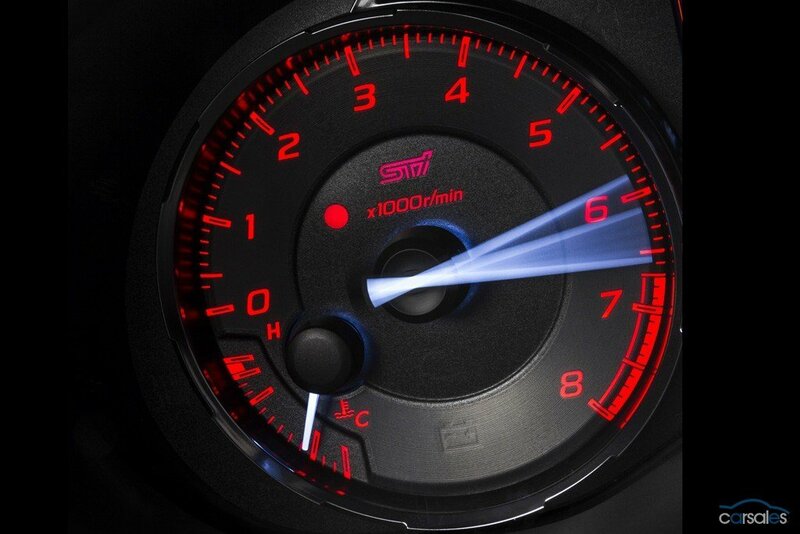 STI interior highlights include a multi-page information display with a boost pressure display screen. Sports seats are trimmed in Alcantara and leather in the STI, while the Premium has full leather with perforated inserts. The new STI also has a roomier interior and bigger boot, as per the Impreza. It also shares a five star ANCAP rating. However, WRX and STI do not share the Impreza badge, reflecting a Subaru decision several years ago to distinctly separate the mainstream and sporting models in its lineup.